Scooper - Technology News: Why do you use the internet? The eight moments are universal across the globe, and yet the fulfilment of each moment contains a world of nuance. Even as people share similar experiences, they seek out different kinds of content depending on the many moments that make up a particular day. From mundane events like jogging to life changing experiences like welcoming a new baby, these experiences can provoke a multitude of unique moments and content. 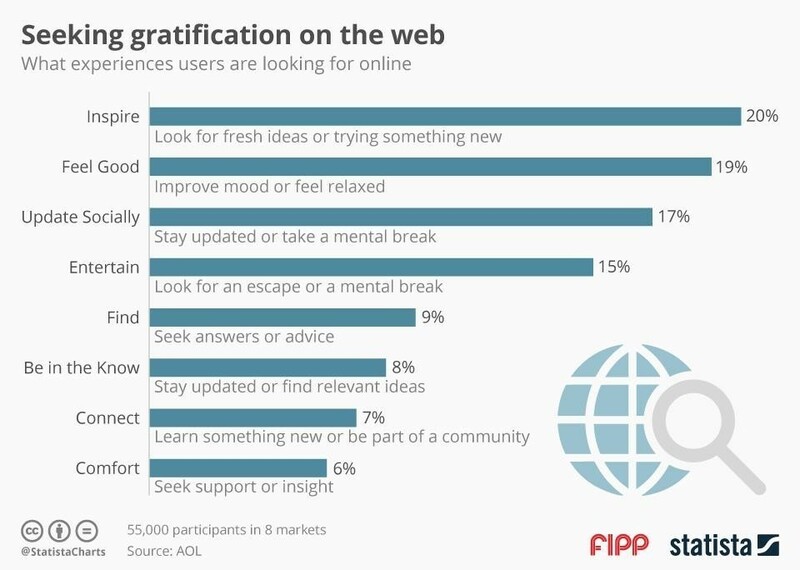 As it turns out, a majority of people hop online for inspiration-they want to find fresh ideas (20%) while others want to improve their mood (19%).